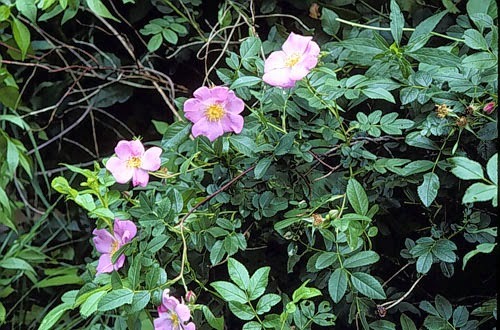 Low to medium size shrub. 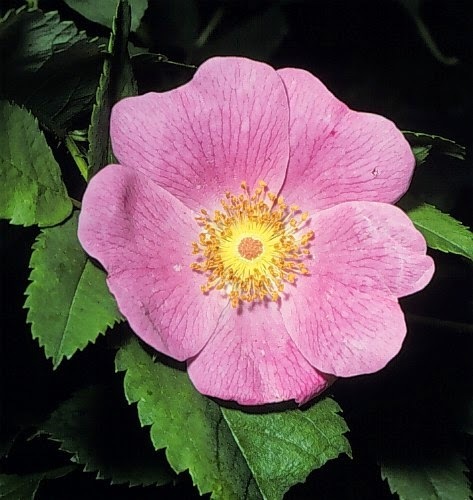 Flowers are pink, single, and solitary. Round on wet or dry sites.